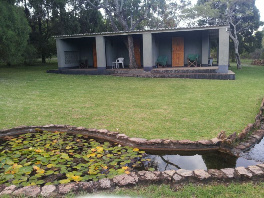 The block of twin and double rooms at Paradise. 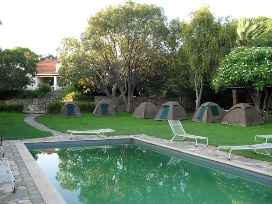 Overlander tents pitched near the swimming pool. 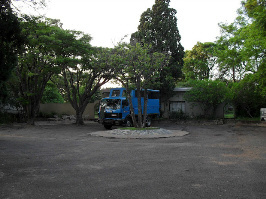 An overlander truck parked near the dorm room. 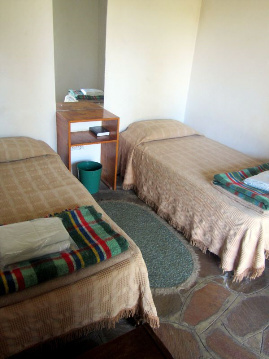 One of our twin rooms. Our rooms are not en-suite. 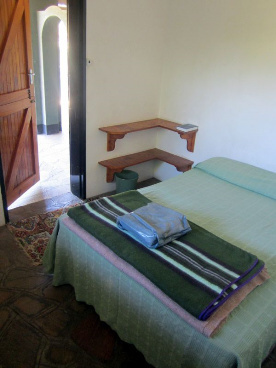 One of our double rooms. Our rooms are not en-suite. The lounge area where you can access our WiFi. 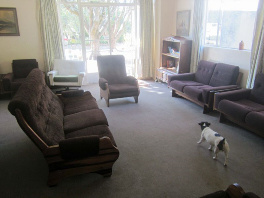 Our dog Simba doesn't usually like this room but he made an exception because Adam was there taking the photo. 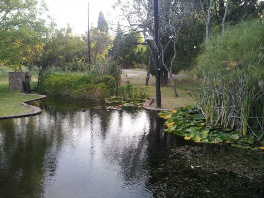 The fish ponds at Paradise. These are filled with bream (a mix of Tilipia Niloticus and Tilapia Mossambica) and a few frogs. 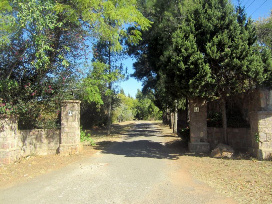 The tree lined driveway and the stone pillars that mark the entrance to Burkes' Paradise. We hope this selection of photos gives you a good idea of what to expect at Paradise. There are a few more on our Facebook page. Please leave a comment there know if you'd like to see photos of any other parts of Burkes' Paradise.